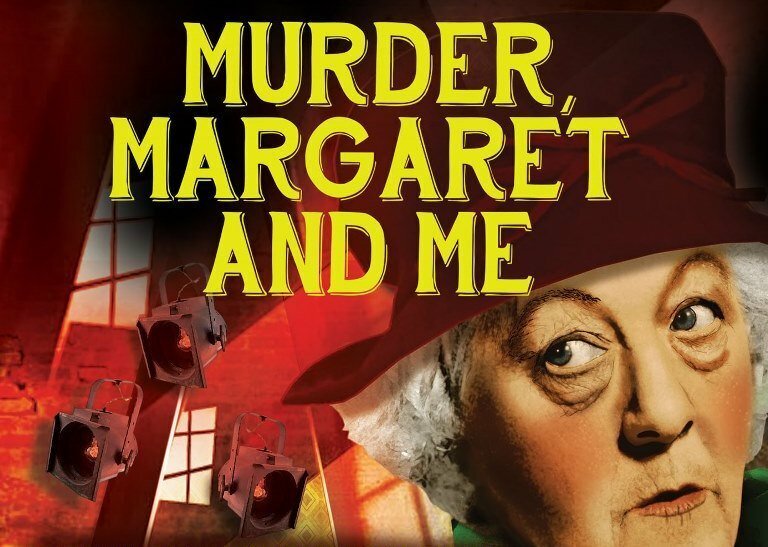 It's Pay What You Can Night tonight (Wednesday 7th February 2018) for Margaret, Murder And Me at Salisbury Playhouse. The performance starts at 7.30 p.m.
Agatha Christie turns sleuth to uncover a real life mystery in this new comedy thriller. Murder, Margaret and Me by Philip Meeks is about Agatha Christie and Margaret Rutherford, the actress who played Miss Marple in a series of 1960s films. Agatha and Margaret should never have been friends. But they were. Their paths crossed when they found themselves at the heart of one of British cinema’s most successful franchises. However, the Miss Marple films almost didn’t get made. Agatha didn’t want Margaret to bring her precious spinster to life and Margaret was mortified at the thought of upsetting her fans with something as sordid as murder. But this wasn’t her only reason for resisting the part. Margaret had a terrible secret. One that she’d lived with for a lifetime. Murder, Margaret and Me is a story of friendship in the long-lost world of the silver screen. As Agatha and Margaret play tug of war with Marple, Agatha (being a woman who wasn’t without a secret or two herself) unearths the shocking truth buried in Margaret’s past. Murder, Margaret and Me stars Kate Brown (Betty Marsden in Horne A’Plenty at the White Bear Theatre and appearances in TV’s Doctors) as Agatha, Tina Gray (Dame Pamela Ogden in Tartuffe, Shakespeare at the Tobacco Factory) as Spinster and Sarah Parks (whose recent RSC credits include Richard II, Death of a Salesman and Henry V) as Margaret. The production, which is in association with York Theatre Royal, is directed by Damian Cruden and designed by Dawn Allsopp. Lighting designer is Richard G. Jones and the sound designer is Yvonne Gilbert. Seeing a production at Salisbury Playhouse is already very reasonable but now great theatre is even more accessible with our Pay What You Can nights. Everyone is welcome to attend the performances and pay whatever they can. £1, £5 – whatever you can afford to give us, that’s what the tickets cost for that performance. All you need do in advance is download and print out a Pay What You Can form from the website http://www.salisburyplayhouse.com/your-visit/pay-what-you-can-nights/ or collect a form from the Ticket Office. Then fill it out and bring it with you to the Ticket Office from 10am on the day of the performance ONLY, along with however much money you would like to pay. Malthouse Lane, Salisbury, SP2 7RA.